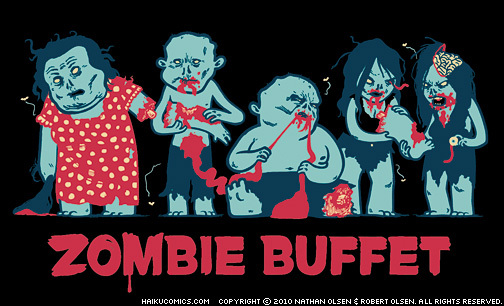 Posted on December 24, 2010 at 12:00 am. Posted on December 8, 2010 at 12:00 am. Posted on April 15, 2010 at 12:00 am. Posted on April 2, 2010 at 12:00 am. Posted on March 26, 2010 at 9:27 am. Hi all. 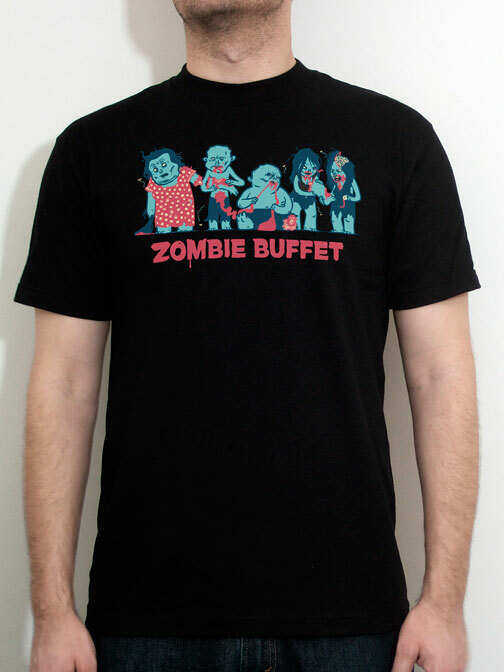 Just a reminder that the Zombie Buffet t-shirt is still in pre-sales. Currently pre-sales are set to end on March 31st, but a little bird whispered to me (as I held him in my fist, forcing him to talk) that pre-sales will probably continue through the weekend in celebration of WonderCon being held in San Francisco. So order your shirt now and receive $3 off the final price. Posted on October 21, 2009 at 12:00 am. Posted on October 14, 2009 at 12:00 am.